Volvo VIDA DICE 2014D, I bought from obdii365.com for $130 plus shipping to United States. I went to pull onto a main road and the front tires spun. The ABS light came on with the stop safely message. I pulled over, turned the car off and the light went out and a hard acceleration proved that I had AWD again. It’s done this a few times now, and there’s something new that I noticed when the Brake Failure message comes on; the trip odometer goes blank, and the odometer stops counting up the miles. This happened the other day on the way back from the shore and it was a good 30 miles home and the mileage didn’t change at all. At this point the warning message is coming on pretty constantly and it’s kind of a 50/50 shot whether I have AWD or not… I also started hearing a noise at highway speed as if the bearings are shot and it’s coming from the back; could this be the AOC pump? I finally got my VIDA DICE unit hooked up, I was able to read and clear the codes. The following first 2 screenshots are the initial readings, before I cleared it. Then the next are the readings after it came back again. The biggest issues are the lack of cruise control, odometer not counting up and lack of display messages. Otherwise the car drives and stops OK. 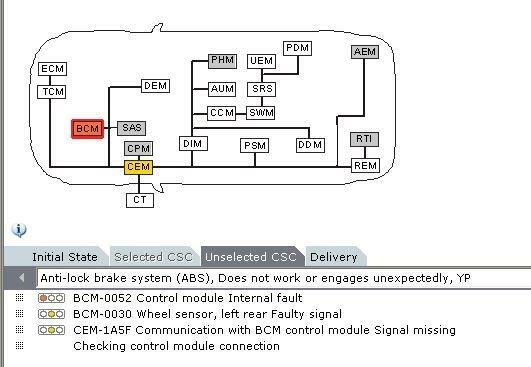 Check the Brake Pedal Sensor (on the brake boost servo) and the Brake Pedal Switch (top of brake pedal) as these are reported to be the cause of the problem. The brake switch is on/off and if not working brake lights won’t activate. 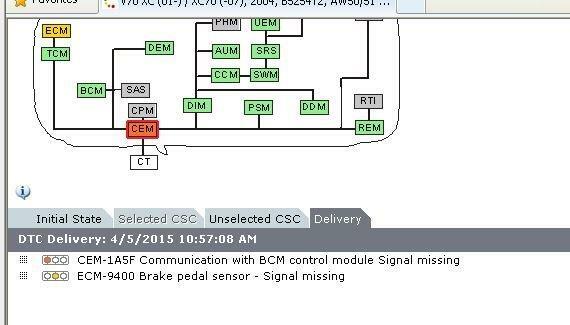 The brake pedal sensor is a potentiometer and can be *roughly* checked with an ohmmeter. The next step is to check the tone rings on the drive shafts. The drive shaft axle bolts and different thickness washers. 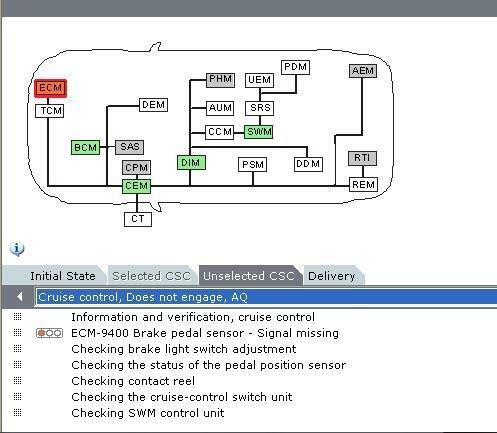 How to reset Volvo P3 Chassis EPB by Autel EBS301 no VIDA ?